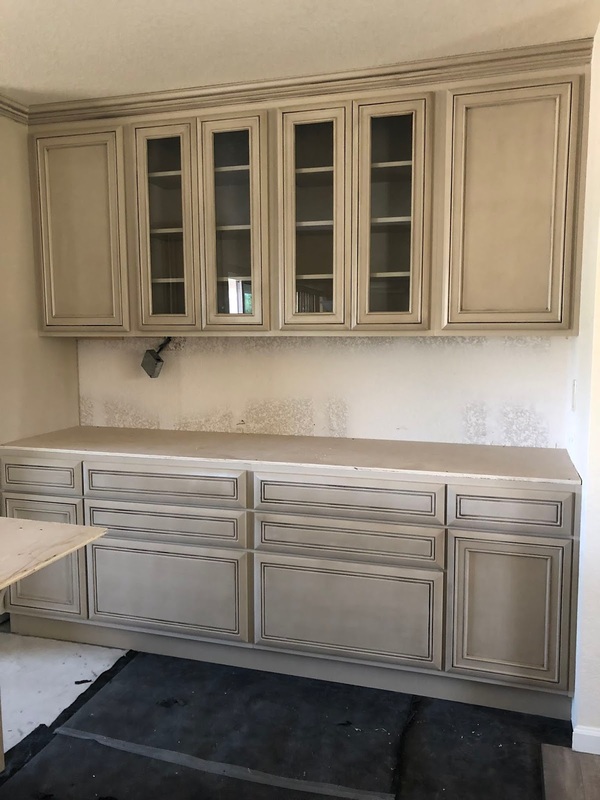 how do i show Jesus' love through cabinetry? Sometimes I wonder, well ok......... all the time I wonder how do I show Jesus' love with custom cabinets and woodwork? Where does He fit in to all of this? I have always thought that it would be easier if you had the occupation of a pastor or a missionary. Every day is bookmarked for Jesus. I think, "am I doing what Jesus wants me to do?" "Am I giving him control today, or am I taking it back?" I have really been asking that a lot......I want to be doing Jesus' will in my life.
" Whatever you do (whatever your task may be), work from the soul (that is, put in your very best effort), as for the Lord and not for men, knowing (with all certainty) that it is from the Lord (not from men) that you will receive an inheritance which is your (greatest) reward. It is the Lord Christ whom you (actually) serve." I feel like I am in that valley of life where I am not sure which way I am supposed to go but according to this verse I am to serve God with all I do. These questions of "what am I doing" really lay heavy on my heart and make me think.........How do I be creative in witnessing through cabinets? I feel like its awkward to say "hey do you love your cabinets? Now lets talk about Jesus!" By my actions I try to be nice and courteous and hope they see Jesus' love, and then we can talk about him......... maybe............ I will let you know how it goes........you know I'm not big into rejection or making situations weird. Its the delivery I need help with! 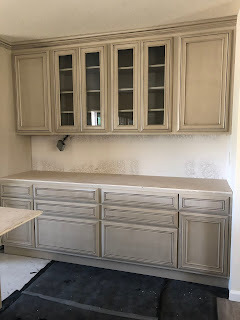 Recently I have been able to design some kitchen remodels and its really allowing me to get to know our clients on a deeper level. They are trusting me to create a beautiful and functional space for them. This is a big task that I do not take lightly and I am asking them to trust me with their space that they live in. Its a big deal to me, and I so want them to just love it when its all done!! This allows me to get an idea of what they like and do and also maybe an insight into their lives. 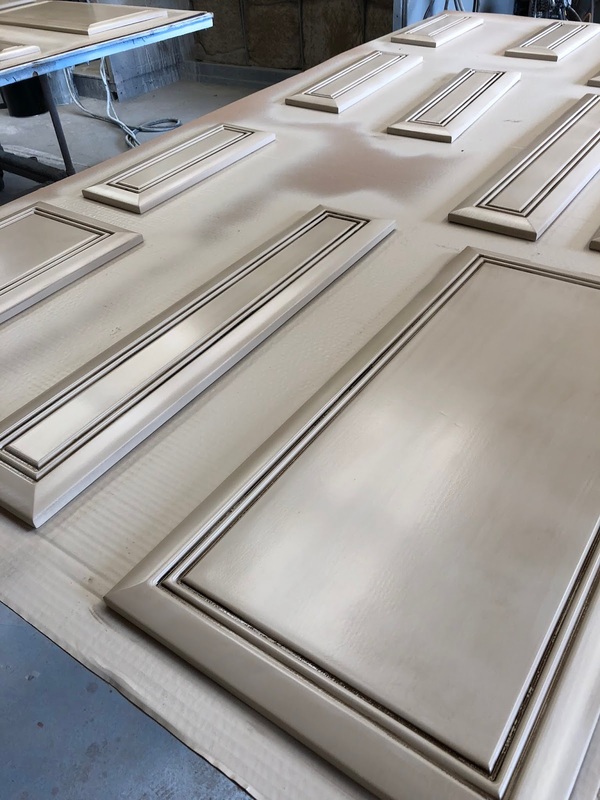 Here are some drawers and doors I have been painting and glazing for a kitchen remodel that we built in the last couple of weeks. It took us two days to install this kitchen. 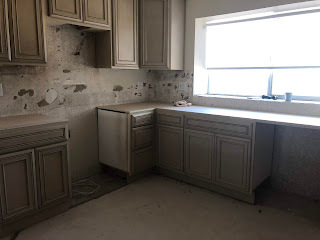 I have the finished pictures below this is before the flooring, countertops, and appliances go in. 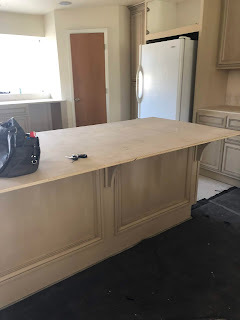 This is the Back of the island above and to my right is the corner area of the kitchen where the sink, stove, and hood micro will be going. This is the front of the island and it has great storage inside with pullout trays. 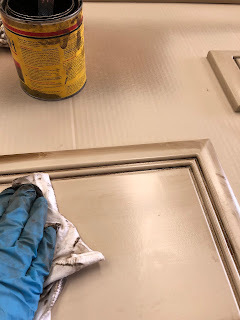 Then we have the display wall where I placed 4 glass doors in the center so she will have the ability to show off any colorful plates, bowls, wine glasses, etc. I am so happy with how this kitchen turned out. I really enjoyed painting it and installing it. 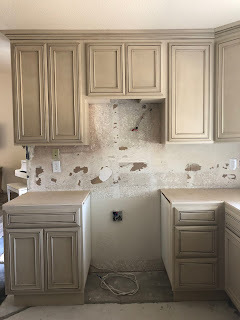 The client was so happy and I was thrilled, I honestly just told her that I was and am so thankful that she allowed us to be able to remodel her kitchen. It was a true joy. If you are able to witness for Jesus' and talk about Him to your coworkers or clients I would love to know your story. Write in the comment section below. Truly if there is any way I can show people that Jesus' love for them surpasses all understanding and that He is Always there when you pray, I will do it. I cannot do anything without His love and support.